LoanFly is the Better Way to Mortgage. Whether you’re always on-the-go, have a need for speed, looking for personal service or all three—with LoanFly you can soar through the home loan process the way you want. We know it can seem complicated, but with LoanFly buying a house doesn’t have to be hard. Quickly prequalify, own in as few as ten days, spend less time on the loan process – LoanFly makes high-speed a reality. 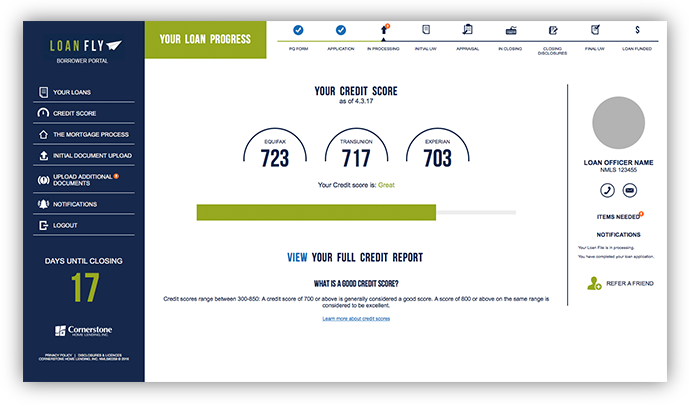 Prequalify on the app or online, submit documents, and check loan status without ever leaving your couch. LoanFly makes the process simple. If you never want to meet in person or if you want to work side-by-side, we work on your terms. With LoanFly, it’s mortgage the way you want it. Forget everything you know about the home loan process. With our free LoanFly app, you can quickly prequalify, search for homes, upload documents, check loan status and more all from your device. No pen, no paper, no problems. Download the free app now. Ever wondered how much house you can get? Start with LoanFly and become an educated buyer. We help you decide how much you can afford so you can find the home of your dreams within your budget. Then the real fun begins—use our LoanFly app to search for homes anywhere in the U.S.
Let us take the guesswork out of your home buying process. Don’t stress about how to send documents or check your loan status. With LoanFly, everything you need to know is at your fingertips anytime, anywhere. Want a loan expert to contact you? 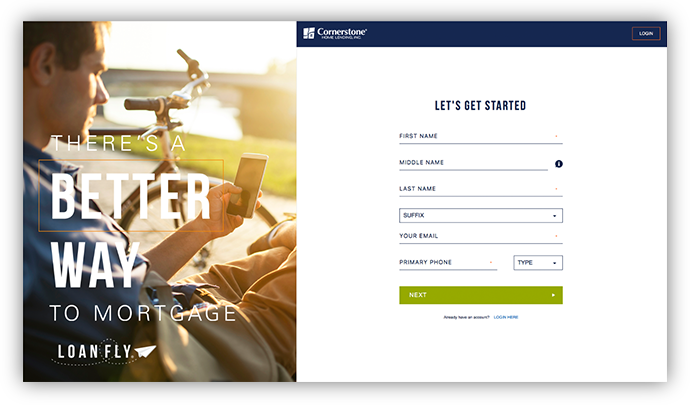 © 2018 Cornerstone Home Lending, Inc.